Calving season 2012 is underway, as a healthy bull calf was delivered this morning by Heifer No. 109. New calf, just a few hours old. With the weather the way it’s been, we have some pretty great conditions for calving. But I won’t lie to you, it’s better for the temps to stay below freezing. I must have hit my head, right? Actually, mud can be a real risk during calving, so it’s better for our little ones if we have hard, frozen ground to work with, rather than soft and soupy mud. Plus, we’re used to dealing with cold temps for calving…it’s one of the reasons my husband breeds the cows when he does, so that they calve when the time is right for our operation. 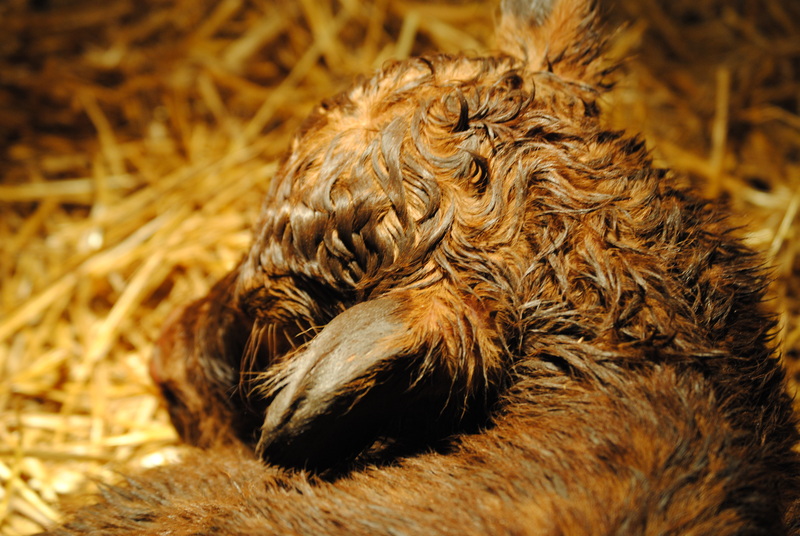 The mild winter just has us off our game a bit, but nothing like the first calf to bring you back to your senses! Now we sort off the heifers (cows that will have their first calf this year) and keep them closer to home. And then the checks start, where we go out and check the cows for signs of calving every few hours…more often when it’s cold. Our goal is to get the calves in the barn before they are born, or shortly after. Want to come along on a calf check? Check out this post from last year…and stay tuned for more! This entry was posted in Calving, Farm life, Winter and tagged calving, cows, farm life, life on the farm by wagfarms. Bookmark the permalink. We have 8 being watched. Wishing I could help more. Enjoy those babies. Thanks for sharing. Yay! I can’t believe it’s calving time already. Good luck! I agree, I can’t believe calving is upon us already! The year flew by…but I love watching the calves play. Thanks for the luck, I’m hoping we don’t need it, but it’s always a good idea to have a little luck in your corner!